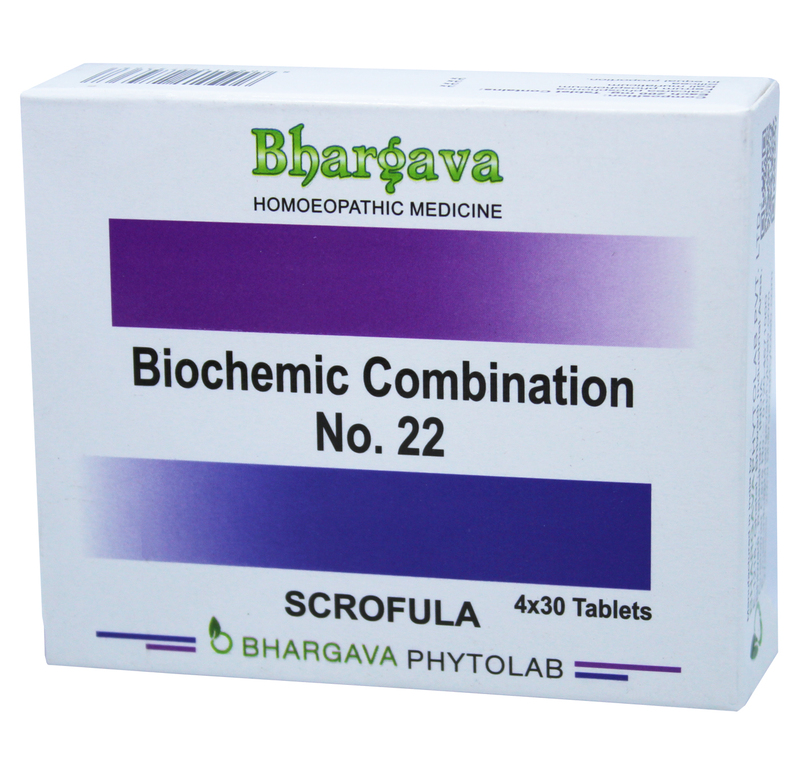 Bio Combination 22 is helpful for scrofula. It helps in glandular enlargements and abscesses. Doctor Bhargava Bio Combination no. 22 is a result of techniques perfected over 100 years of practice. It is also useful for both dry and suppurating scrofulous glands. Start taking Homeopathic medicine today and get best treatment.